Sue Monk Kidd's ravishing debut novel has stolen the hearts of reviewers and readers alike with its strong, assured voice. 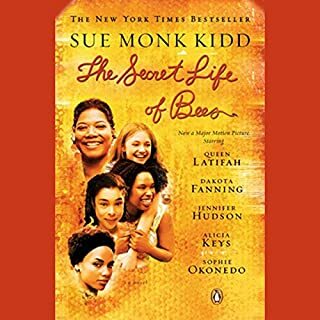 Set in South Carolina in 1964, The Secret Life of Bees tells the story of Lily Owens, whose life has been shaped around the blurred memory of the afternoon her mother was killed. 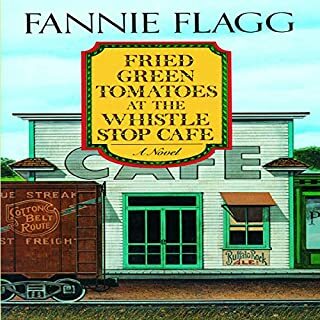 Folksy and fresh, endearing and affecting, Fried Green Here is the now-classic novel of two women in the 1980s; of gray-headed Mrs. Threadgoode telling her life story to Evelyn, who is in the sad slump of middle age. The tale she tells is also of two women - of the irrepressibly daredevilish tomboy Idgie and her friend Ruth - who back in the thirties ran a little place in Whistle Stop, Alabama, a Southern kind of Cafe Wobegon offering good barbecue and good coffee and all kinds of love and laughter, even an occasional murder. Celie has grown up poor in rural Georgia, despised by society and abused by her own family. She strives to protect her sister, Nettie, from a similar fate, and while Nettie escapes to a new life as a missionary in Africa, Celie is left behind without her best friend and confidante, married off to an older suitor, and sentenced to a life alone with a harsh and brutal husband. In an attempt to transcend a life that often seems too much to bear, Celie begins writing letters to God. The letters, spanning 20 years, record a journey of self-discovery and empowerment guided by the light of a few strong women. It's just a small story really, about, among other things, a girl, some words, an accordionist, some fanatical Germans, a Jewish fist-fighter, and quite a lot of thievery. 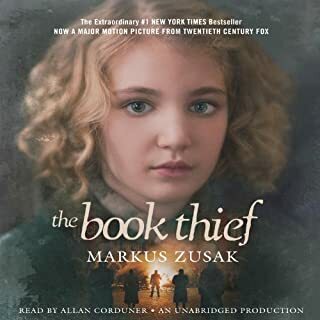 Set during World War II in Germany, Markus Zusak's groundbreaking new novel is the story of Liesel Meminger, a foster girl living outside of Munich. Liesel scratches out a meager existence for herself by stealing when she encounters something she can't resist: books. Glad I took a chance. 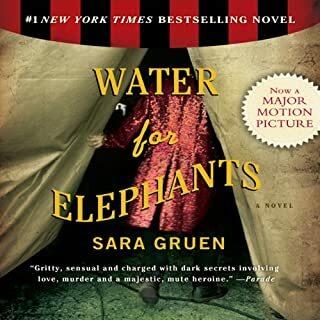 When Vivi and Siddalee Walker, an unforgettable mother-daughter team, get into a savage fight over a New York Times article that refers to Vivi as a "tap-dancing child abuser", the fallout is felt from Louisiana to New York to Seattle. Siddalee, a successful theater director with a huge hit on her hands, panics and postpones her upcoming wedding to her lover and friend, Connor McGill. Vivi's intrepid gang of lifelong girlfriends, the Ya-Yas, sashay in and conspire to bring everyone back together. Every so often a love story so captures our hearts that it becomes more than a story - it becomes an experience to remember forever. The Notebook is such a book. It is a celebration of how passion can be ageless and timeless, a tale that moves us to laughter and tears and makes us believe in true love all over again.... At 31, Noah Calhoun, back in coastal North Carolina after World War II, is haunted by images of the girl he lost more than a decade earlier. At 29, socialite Allie Nelson is about to marry a wealthy lawyer, but she cannot stop thinking about someone else. One of the best love stories ever written! In a voice both haunting and startlingly immediate, Nitta Sayuri describes her life as a geisha. Taken from her home at the age of nine, she is sold into slavery to a renowned geisha house. Witness her transformation as you enter a world where appearances are paramount, virginity is auctioned to the highest bidder, women beguile powerful men, and love is scorned as illusion. Before John Glenn orbited the Earth or Neil Armstrong walked on the moon, a group of dedicated female mathematicians known as "human computers" used pencils, slide rules, and adding machines to calculate the numbers that would launch rockets and astronauts into space. Among these problem solvers were a group of exceptionally talented African American women, some of the brightest minds of their generation. Why we think it’s a great listen: A masterpiece like none other, Brooks’ powerful performance of Haley’s words has been known to leave listeners in tears. It begins with a birth in an African village in 1750, and ends two centuries later at a funeral in Arkansas. And in that time span, an unforgettable cast of men, women, and children come to life, many of them based on the people from Alex Haley's own family tree. Impressive! DO NOT WIKI THIS BOOK! For a runaway slave in the 1840s South, life on the run can be just as dangerous as life under a sadistic master. That's what 15-year-old Naomi learns after she escapes the brutal confines of life on an Alabama plantation. Striking out on her own, she leaves behind her beloved Momma and sister, Hazel, and takes refuge in a Georgia brothel run by a freewheeling, gun-toting Jewish madam named Cynthia. Seventeen year old Veronica "Ronnie" Miller's life was turned upside-down when her parents divorced and her father moved from New York City to Wilmington, North Carolina. Three years later, she remains angry and alientated from her parents, especially her father...until her mother decides it would be in everyone's best interest if she spent the summer in Wilmington with him. Twenty-two-year-old Skeeter has just returned home after graduating from Ole Miss. She may have a degree, but it is 1962, Mississippi, and her mother will not be happy till Skeeter has a ring on her finger. Skeeter would normally find solace with her beloved maid, Constantine, the woman who raised her, but Constantine has disappeared and no one will tell Skeeter where she has gone. Aibileen is a black maid, a wise, regal woman raising her 17th white child. Something has shifted inside her after the loss of her own son, who died while his bosses looked the other way. She is devoted to the little girl she looks after, though she knows both their hearts may be broken. 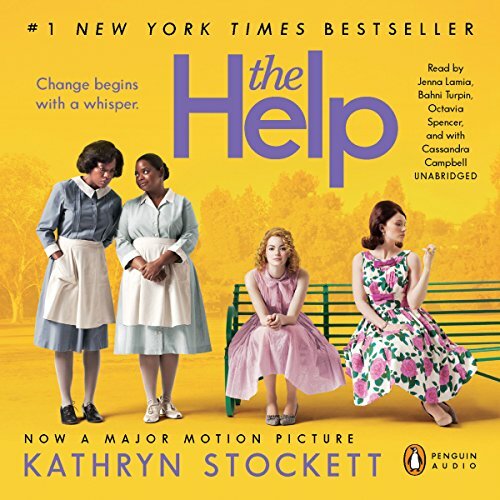 In pitch-perfect voices, Kathryn Stockett creates three extraordinary women whose determination to start a movement of their own forever changes a town, and the way women - mothers, daughters, caregivers, friends - view one another. This edition now includes the afterword "Too Little, Too Late - Kathryn Stockett in Her Own Words", as read by the author. Bonus Audio: Hear an exclusive interview with Kathryn Stockett. I am a 40 year old male that usually listens to colonial history, suspense and adventure novels. I bought this book based solely on the ratings and rave reviews.....I was not disappointed. First of all, this is how an audio book should be produced. The characters were not just read to you by someone behind a microphone, honestly it felt very early in the book as if I were sitting at a kitchen table in Jackson, Mississippi listening to these three women take turns telling me their story. These were not simply narrators reading to me, they became the characters fully fleshed out and filled with emotion. Secondly, I am astonished that this is the first novel written by Kathryn Stockett. I was not expecting to get so wrapped up in the lives of these women but it was so well written....so damn interesting....soooo funny and at times tense. So far I have downloaded about 30 books and this is my favorite by far. I did not want it to end. What a find. I suspect this book is better heard than read. Each voice is distinct, beautiful in quality; Aibileen's is like velvet, Minny's rich and deep, Skeeter's girlish till the reader becomes the sharp New York editor. I finished the book and then started it all over again. It's a captivating story, too. For the longest time I resisted listening to this book, and kept wondering "why does everyone love this?" While it seemed as though a giddy throng was raving about it, I quietly said "no thanks" and "not for me". After all, it violated all my "rules" about what fiction I would read and what book I would decline. It had too many characters, too many southern accents, too much conversation. It was about a place and time I had little interest in - even though I was the same age, at the time, as the main character, and had lived through many of the events mentioned in the book. And, I was not interested in the sociology of "white ladies" and their "black maids" in what I considered to be a then culturally unenlightened area. Well, I was wrong. One day, for lack of anything else to read, I downloaded "The Help" and I was addicted from the first word. While I am not usually a fan of dramatizations, I think that is what sealed the deal on this book for me. 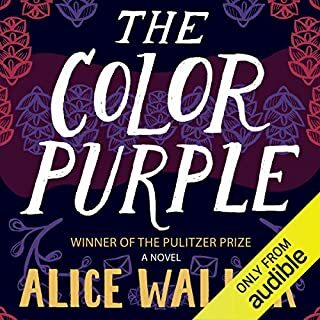 The voices of the characters as read by different narrators were Goldilocks perfect - right on the money, and brought to life the world of privileged southern women and their black help, with all its humor, sadness, love and pain. I can't really add to what any of the other reviewers have said. I ended my reading of this book in tears, as it brought up so many feelings of loss in my own childhood. But this book is not about its ending, even though the story concluded with a painful scene. It's more about living, about the positive, get-it-done energy we all spend in making it through each and every day, through whatever to us means "good" and "bad", and through connections made and connections broken. I can't wait until this book is a movie. While reading I spent half the time casting all the characters, and will not miss the opening of this book on film. Exceeded Expectations! Movie pales in comparison..
Books are supposed to transport you to another world and or time, books are to leave you in a sense of awe and make you feel the raw emotion in that moment. That is what books are supposed to do and in the world of modern literature, a lot of books only give you part of it. While listening The Help, I was not only transported to another time but I also felt the struggles of the different characters, from the quick witted, fiery Milly, to the regal Aibileen and the rebellious Skeeter resonated with you. You even could not help root for the minor characters in the book. The only shortcoming in the book stems from the fact that you simply wanted to hear more. It was not that anything was lacking, but you get so enthralled with the story yourself you cannot help but wish there was another maid to hear from or another chapter to listen to or another DA meeting. The movie does not do the book justice, even though the movie in itself was simply a good watch, the Audiobook was downright excellent. The narrators embodied the characters so well and they gave you a good visual impression of the book era and world that the book took place in. I regret that the movie missed such pivotal parts in the movie like the discovery of Milly, the dynamics of the relationship between Skeeter and her boyfriend in the book and a number of important scenes that characterized Aibileen and Skeeter's friendship. The stories of some of the minor maids got a bit 'watered down' as a result of a need to have commercial appeal in the movies while in the book the relationship was identified quite clearly. Every portion of the book is a must listen and even the very last portion of the book (the section where the author speaks about her life, the book itself and how the book came to be) was also a very poignant part in the story. 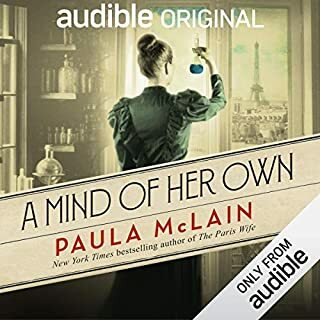 Without a doubt one of the most excellent Audiobooks that I have had the pleasure of listening to! Simply the BEST audiobook I've ever heard!!! This book was unbelievable. I'm sure it's wonderful to read, but listening to it was magical. The voices completely jibe with how your imagine the characters really are, which makes this book so compelling I never wanted it to end. The story is gripping, the characters are wonderful, and your allegiance to, and empathy for, certain characters is so natural that finishing the book felt like I should be hugging them each goodbye. This is one of the best books I have heard (or read) in a long time. Believe it or not, the seriousness of the story is told with laugh out loud humor. The writing is so vivid you feel like you are there and the narrators deserve an Academy Award. I grew up in this time and place. I have known these people, places and events. But, the vantage point taken in this novel is like none other. I was one of those white women who knew only the enviornment presented. Even then, I knew something was wrong about the strata of the society. But, admittedly, those feelings were vague and, for the most part, irrelevant to my life at the time. This book reveals the hard truth about the cavalier way middle and lower middle class whites treated blacks in the 60ish era especially in the south. Clearly the triumph of this work is the ingenious manner in which the message is delivered to the reader. The irony of oppression is seen more clearly when it is revealed how very much the oppressor "needed" (on almost every level)the oppressed. The engrossing narrative of these families and their hired "help" makes the truth of its message sting all the more. This book is so much more than a book about classism or racism. It offers a look at a time when lifestyles of one race were created, maintained and perpetuated by the subjugation of members from another race. However, this is no pounding morality tale. That is the power of this message. Ironically, the tale is sweet and for me, nostalgic; but its message is insidiously reavealing. If you think you have a pretty good grasp of "how it was then,"
you might want to withold that comment until you read this book. For me, it was spot on. I made a mistake by buying this book before the release of the movie--and then watching the movie first. I really didn't like the movie very much. I didn't find it all that funny. As a child growing up during the time this story takes place it just brought back so many memories that I would rather not remember. It really wasn't a funny time. So, in the end I put listening on hold. Then, at last--years later--I decided to give the book a try. I am so glad that I did. The book is very different from the movie. The message is much more complex, layered, multi faceted and totally enthralling. It captures the fear, the cruelty, the violence, the nasty disregard, the struggle for survival and the hope for change that filled the era. More than this, to me, it wasn't just about race relations but really about how we all treat one another. Yes, racial inequality, prejudice and maltreatment take the front stage--but if you look deeper it exposes much more than this. It makes you look at friendships, parent/child connections and treatment, marriages and dating and the hierarchy of a community in a whole new light. The narration was fantastic, but, be prepared, it's a rollercoaster of a ride. The style and the voices of the women reading take hold completely and won't let go. For me, not laugh out loud funny. Instead, this excellent book transcends time and makes you really think about how far we have come and how far we still need to go. I purchased this on a whim based on the reviews here and I am not disappointed. What a wonderful story, beautifully told. The narrators added to this book immensely. They were amazing! I searched for excuses to listen to this book and became completely oblivious to the rest of the world while I listened. A few times I was wondering if the author was going to go completely PC on us with trite solutions and responses, but I was never disappointed in her sensitive and skilled handling of the story line. This is one of the best (if not THE best) audio books I've ever heard and well worth the spent credit. I rarely go back to books within a few years (so they'll feel fresh again) but I'm ready to listen to this again after a month because I miss spending time with these characters. I was only a baby during this time period but grew up in the south with "help" and when I shut my eyes I was back at home, seeing the world through a new set of eyes. I cannot recommend this book enough! Put this one at the top of your list. The hype is accurate and well deserved. So beautifully written and performed, I envy anyone who gets to experience this audiobook for the first time.